Sometimes it’s just fun to dress up the table a bit. 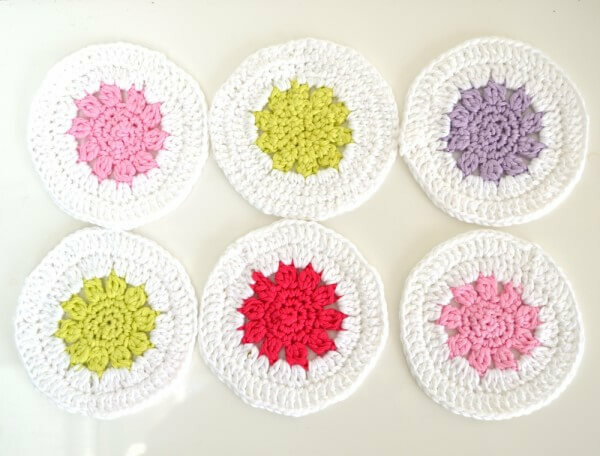 And what is better suited for that then these fun crochet coasters? I used small amounts of cotton left over from previous projects, making them easily washable. 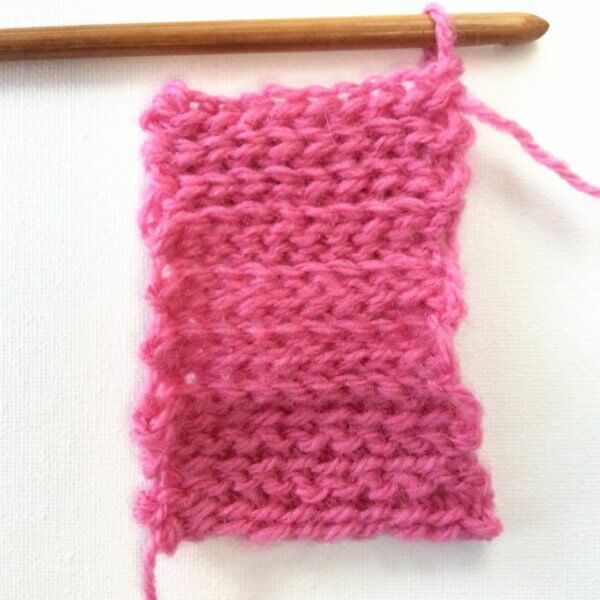 Of course, other types of yarn would also work perfectly fine. 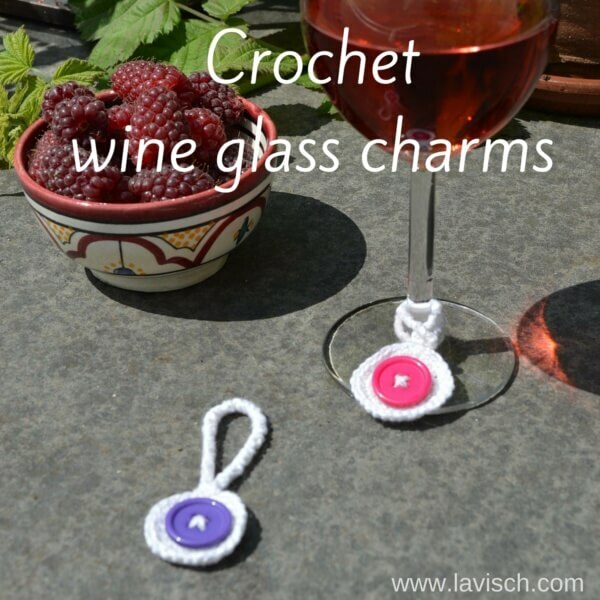 A very cheerful way to use up those little ends of yarn! A small amount of sport weight yarn. 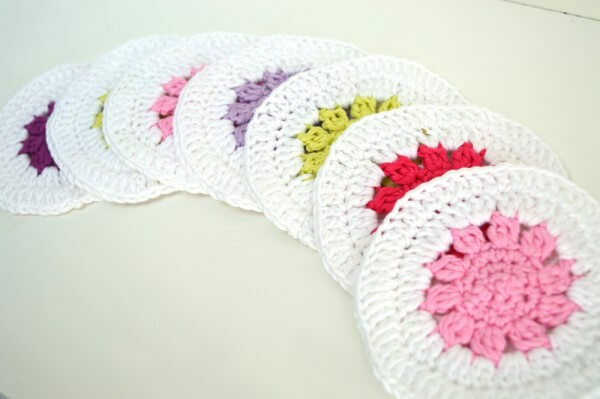 In the sample coasters, Wibra Nova was used (100% mercerized cotton; 110 m (120 yds) / 50 g), per coaster 11 m (12 yds) / 5 g in the main color and 7 m (8 yds) / 3 g in the contrast color. Crochet hook size 3.5 mm (US # E/4). 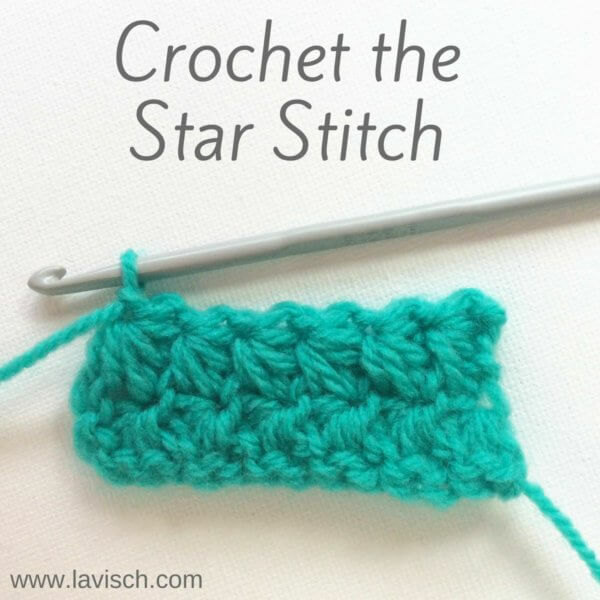 Popcorn stitch: [Yo, insert hook in indicated st or sp, yo, pull lp through st, yo, pull lp through first 2 lp’s on hook] 3 times, yo and draw through all lps on hook (popcorn made). Round 1: With CC ch 1, 6 sc in first ch and sl st closed to first sc (6 sts). Round 2: Ch 1, 2 sc in each st, sl st to first ch of round (12 sts). Round 3: Ch 1 (counts as 1 sc), 1 sc in 1st st, *1 sc in next st, 2 sc in next st; rep from *, sl st to turning ch (19 sts). Round 4: Ch 3 (counts as 1 dc), beg popcorn in 1st st, ch 2, skip next st, *1 popcorn in next st, ch 2, skip next st; rep from *, sl st to top of first popcorn. Round 5: With MC ch 3 (counts as 1 dc), 1 dc in top of popcorn, *3 dc in next ch-2 sp, 2 dc in top of next popcorn; rep from *, end with 3 dc in last ch-2 sp, sl st to 3rd ch of turning ch. Round 6: Ch 3 (counts as 1 dc), 1 dc in 1st st, *1 dc in next 4 sts, 2 dc in next st; rep from * to last 4 sts, 1 dc in each of next 4 sts, sl st to 3rd ch of turning ch. 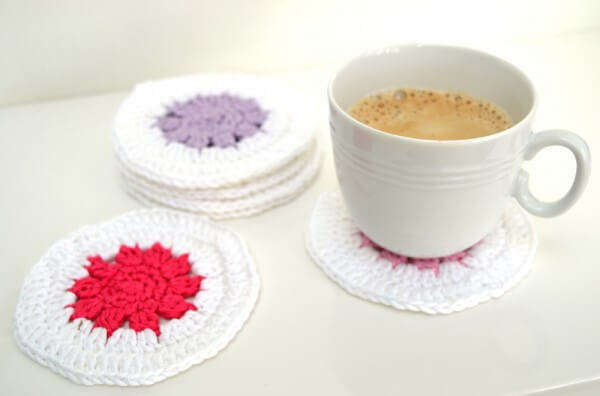 In what colors will you be making your fun crochet coasters?